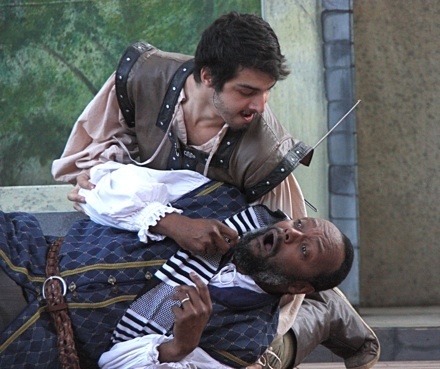 Ithaca Shakespeare Company - September 2013: Thanks For Another Great Summer! 2014 Season Announcement Coming Soon! Summer Shakespeare is done, the performance site at Cornell Plantations is just a lovely grove of trees again, and we're working on some very exciting plans for 2014...and beyond! Keep an eye on your e-mail and our website and Facebook page for more details, coming very soon! 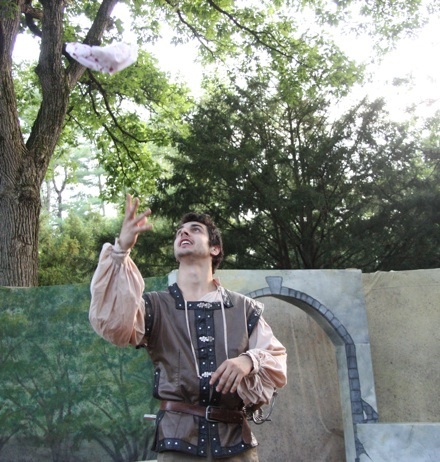 The Ithaca Shakespeare Company is looking for a new place to store the modular pieces that we use to construct our stages at the Plantations each summer. These pieces are currently stored outdoors over the winter, which causes a lot of wear and tear on them. We would love to have a place to store them over the winter that is sheltered from the weather. If you have or know of a place like that, please e-mail us with the information. Our budgets are very tight, and we would prefer to put as much of our funding as possible into our productions rather than expensive storage space rentals. So if anyone in our extended Shakespeare family has or knows of a suitable storage space available at small or no cost, we would be deeply grateful and would provide appropriate recognition in our season programs. Again, please e-mail us if you have any ideas about this. Thank you! 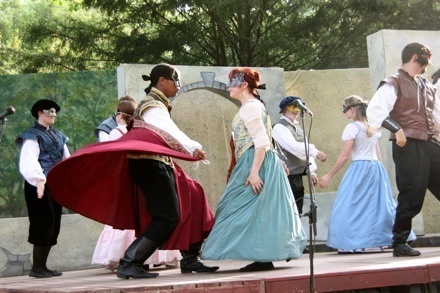 Thanks For Another Great Summer of Outdoor Shakespeare!